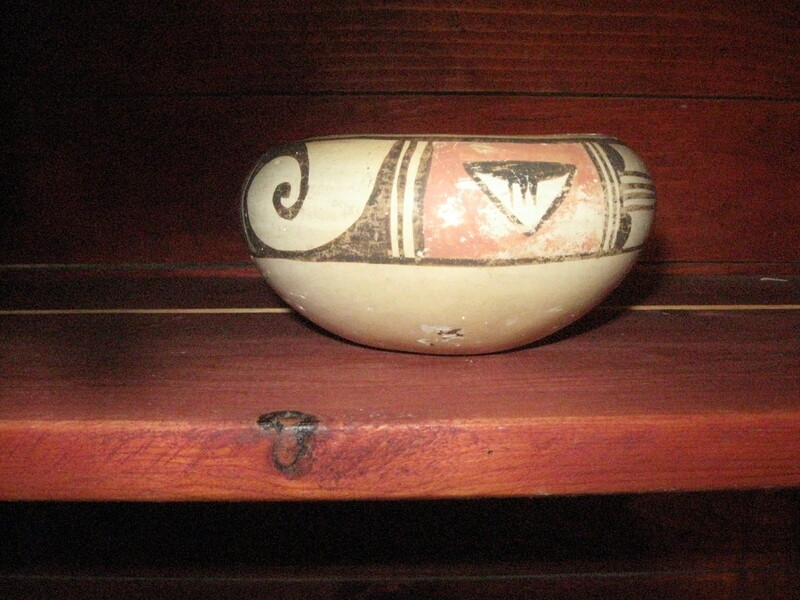 Welcome to part one of a look at my Native American pueblo pottery collection. 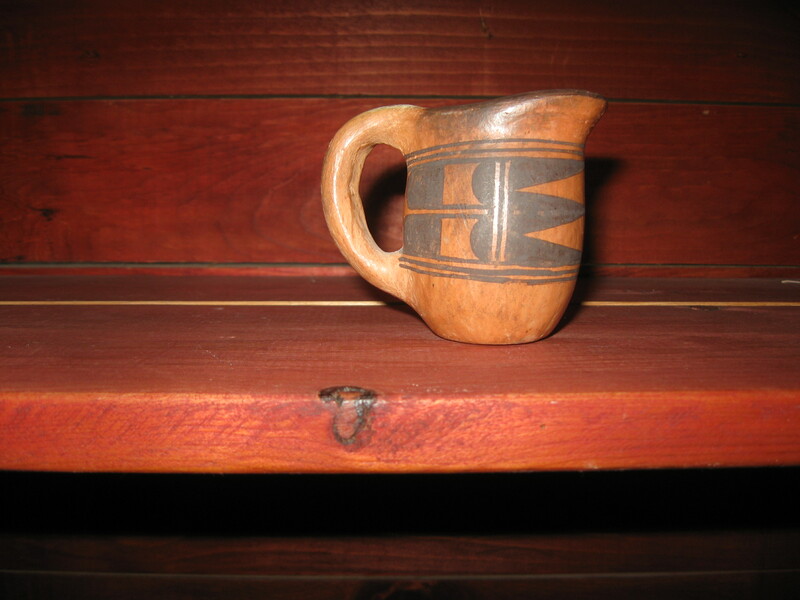 I hope to teach you a bit about how to identify and pick out nice pots to add to your collection. At present I have three more blog pieces (parts two, three and four) which you can access. I update them as I learn more about my pots. This one is current to February, 2018. 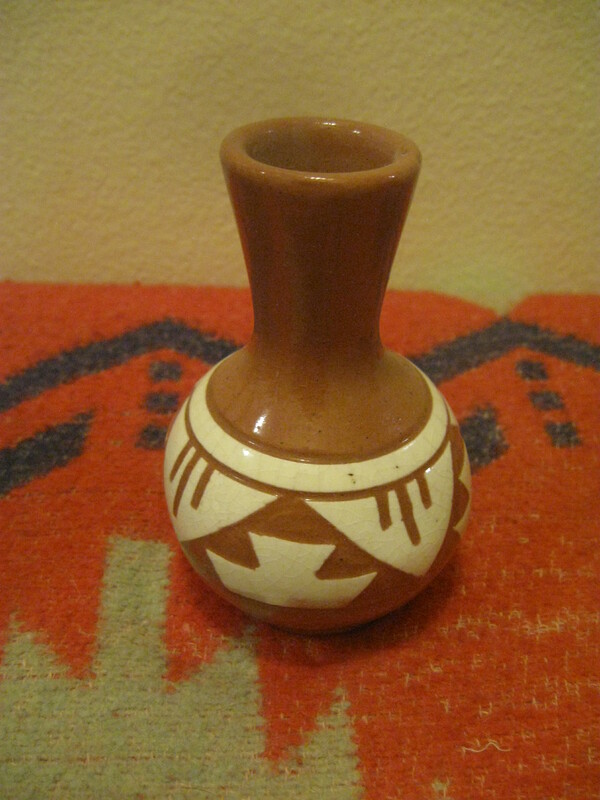 For Part One, I’ve chosen my favorite pieces from my pueblo pottery collection, which I will briefly discuss here. 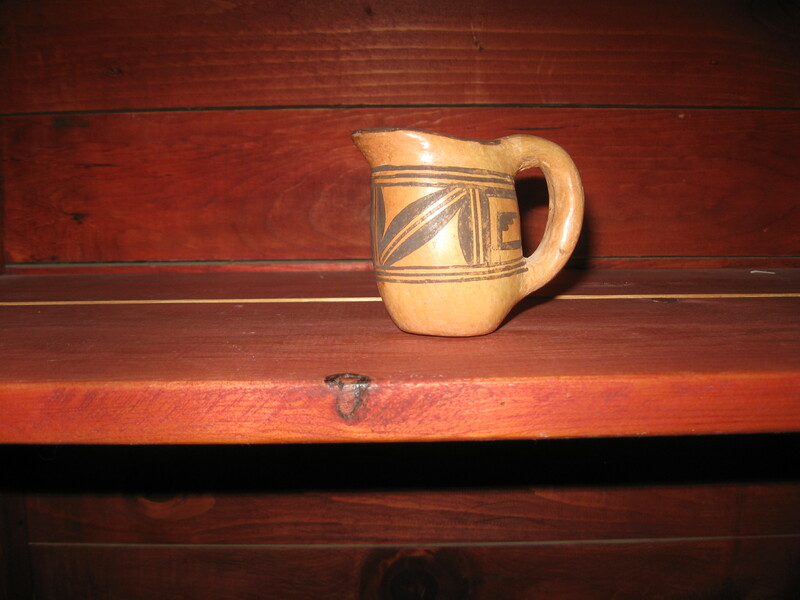 The wedding vase shown above/below was created by a potter circa 1920, or perhaps as early as the early 1800’s. That is what the latest expert who saw the photos told me. 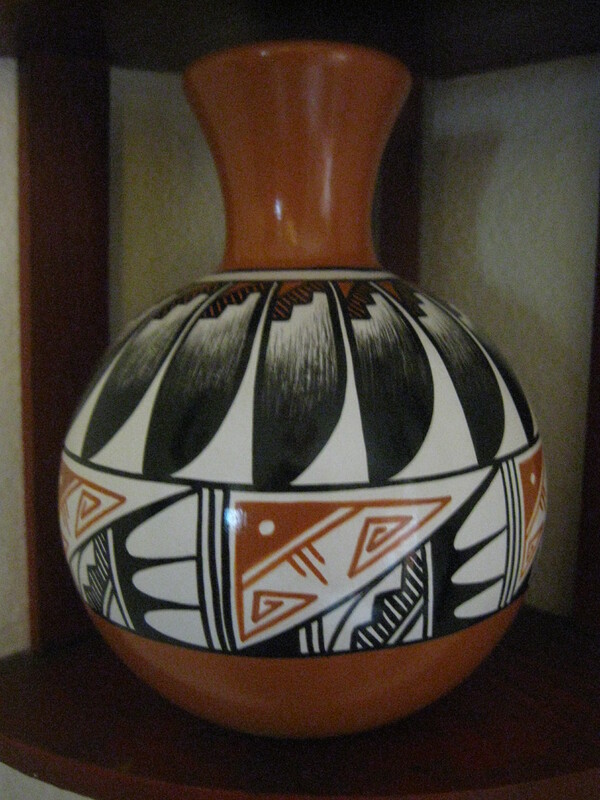 The potter was from the Acoma Pueblo (signed “Acoma, NM” on bottom), which is located near Albuquerque, New Mexico. 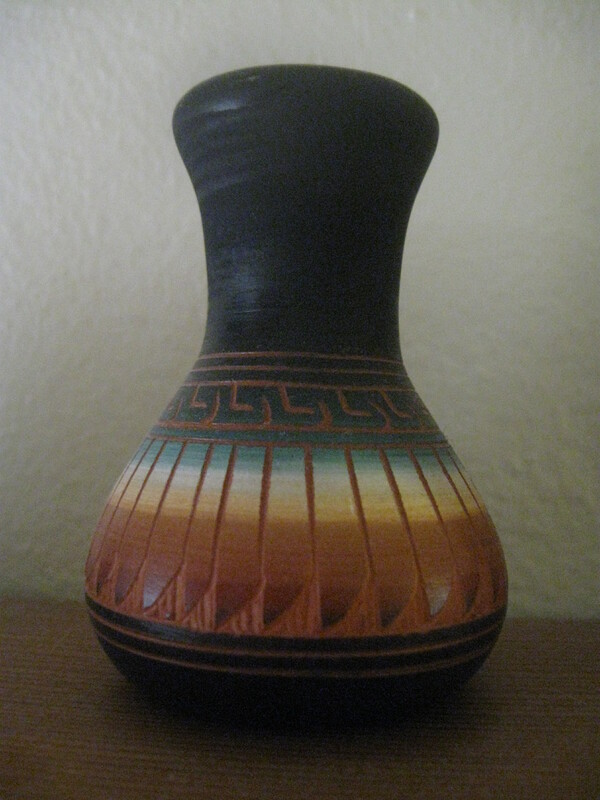 It is my absolute favorite piece in my collection. 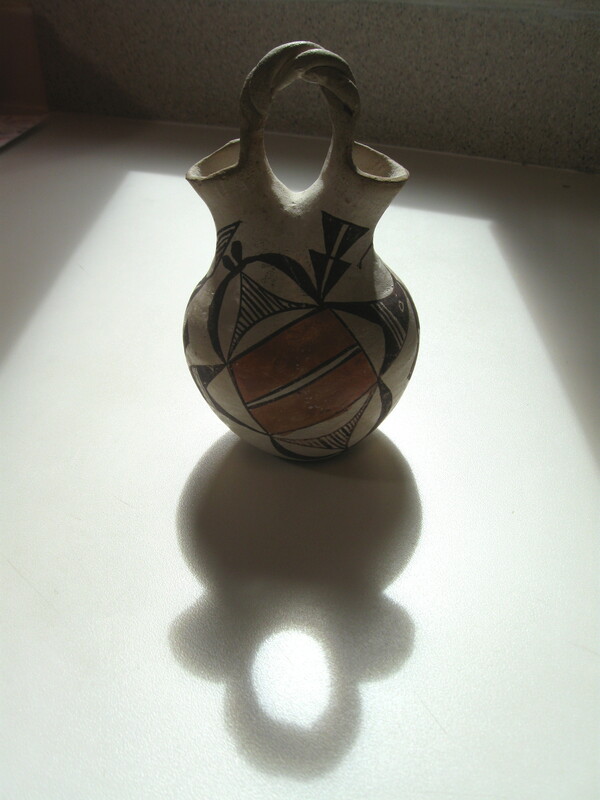 I’m adding one more “arty photo here, in the middle of the two more or less documentary photos of this piece, just to give you an idea of what you can do with a beautiful pot, natural light, the pot’s shadow, and creative photography. 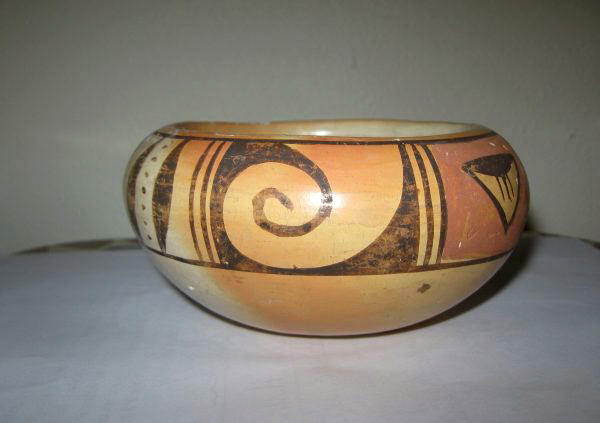 This pot is made, decorated and fired in the traditional way. 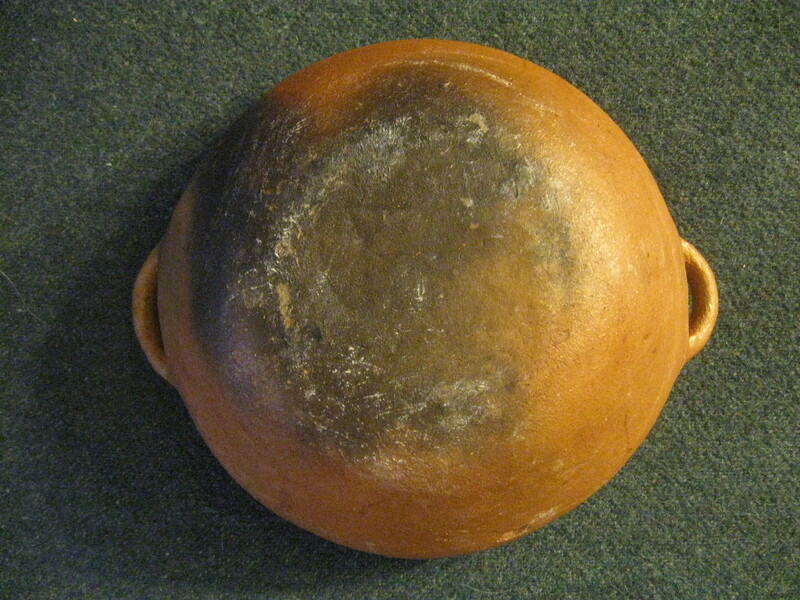 Modern pots can be made from molds, and decorated with poster paint. Not this one. 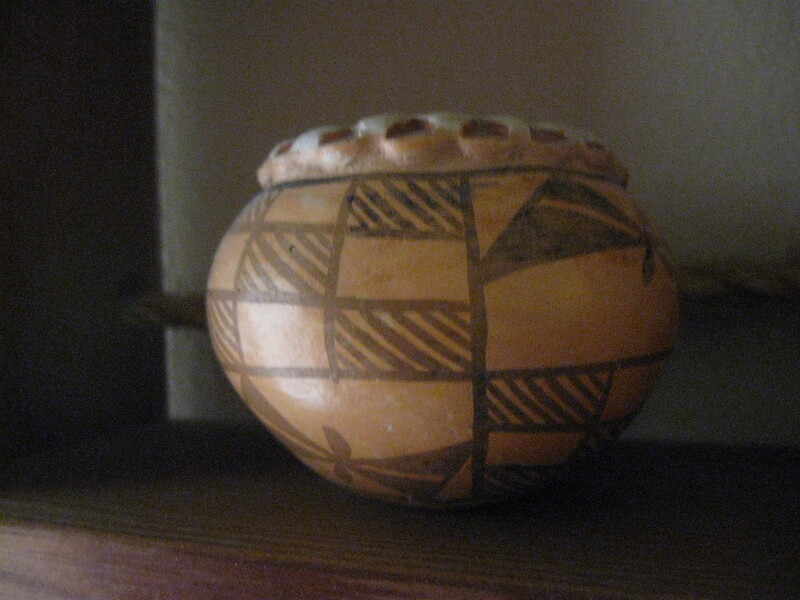 This Hopi bowl, shown above/below, is probably dated to 1940’s. It’s often hard to determine the exact decade a piece was created. 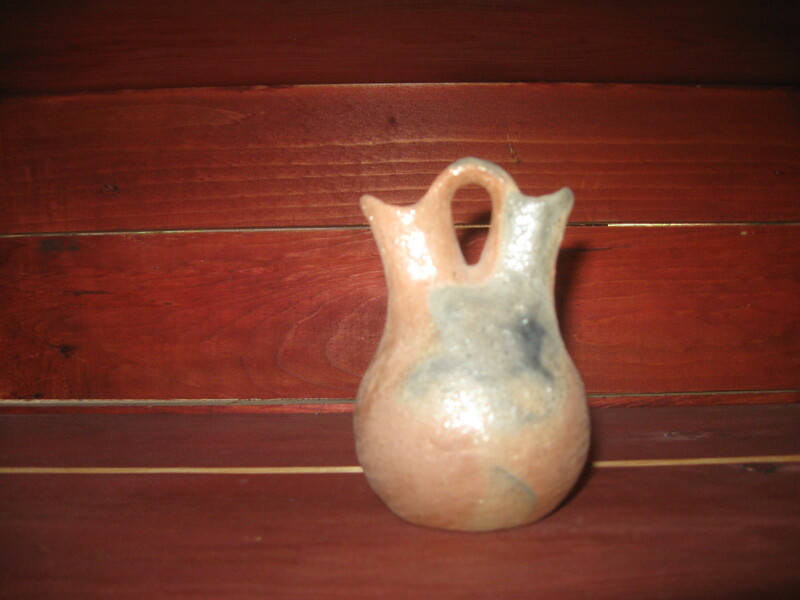 Pottery left in the sun can fade, and thus appear older than it actually is. 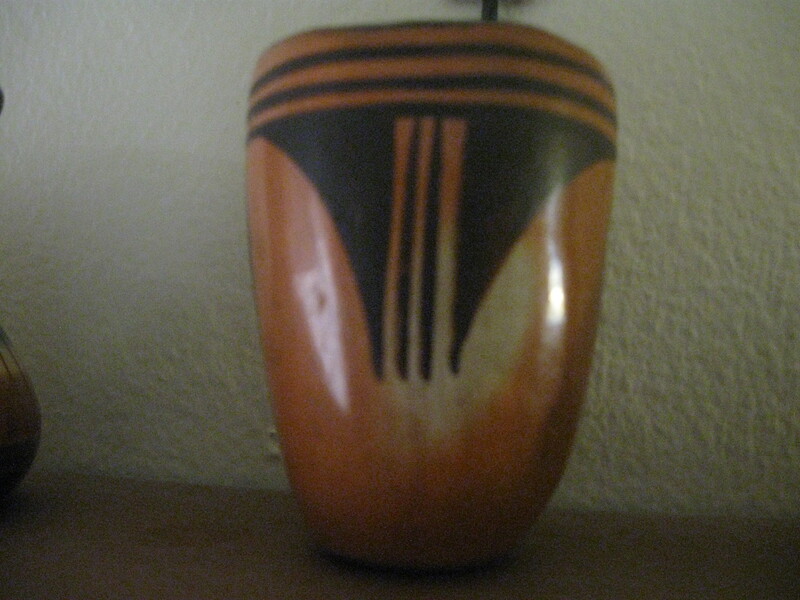 However, judging from style, quality and condition, I am saying circa 1940. 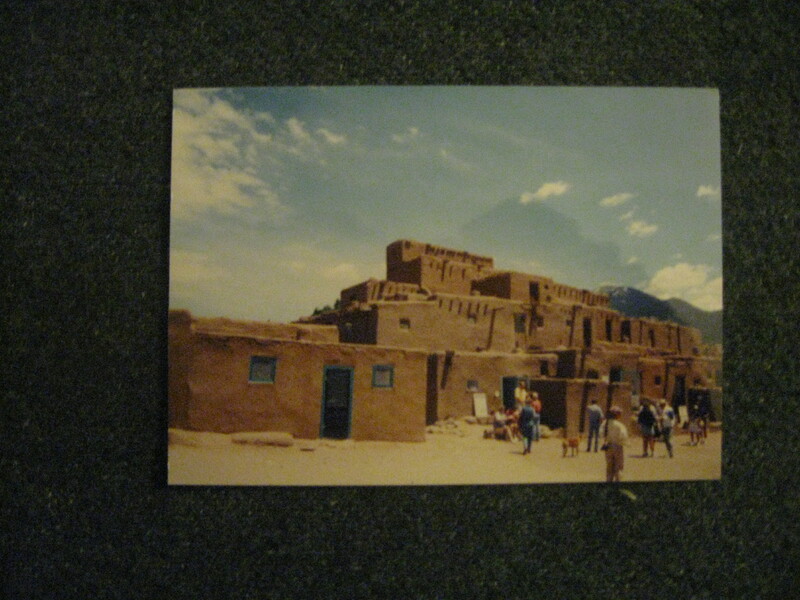 The signature on the bottom is that of Theresa Harvey. 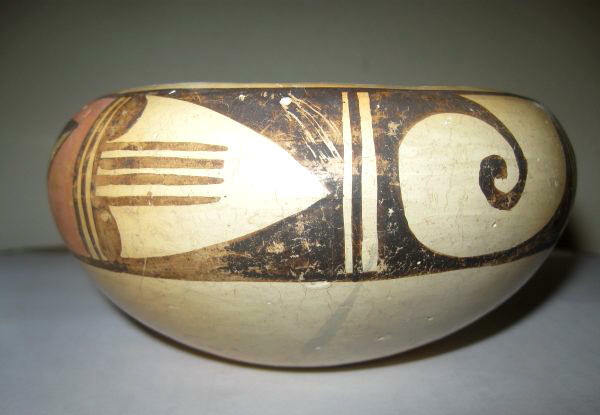 I think it is a beautiful bowl. 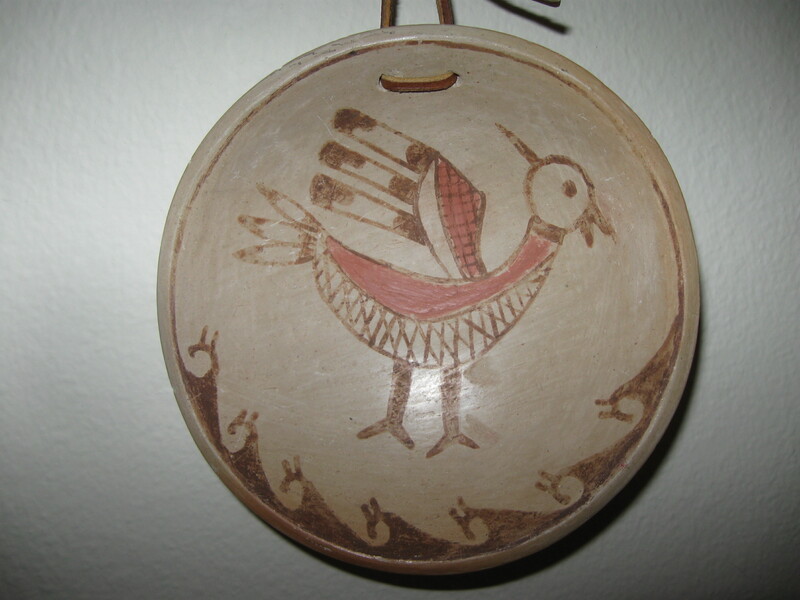 I’ve found one other example, on-line, of Theresa’s work. 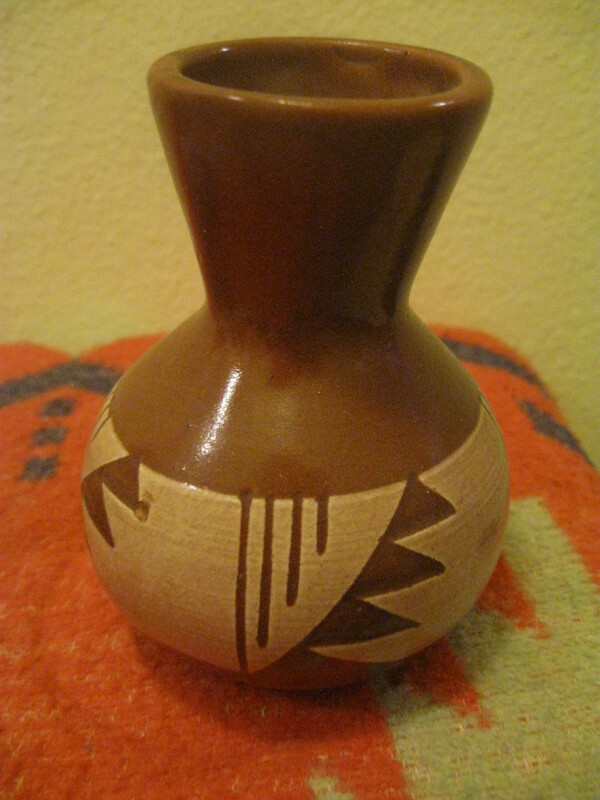 There was (or is) also a potter named Vina Harvey; I found one example of that person’s work, and it looked very, very similar to the work of Theresa. 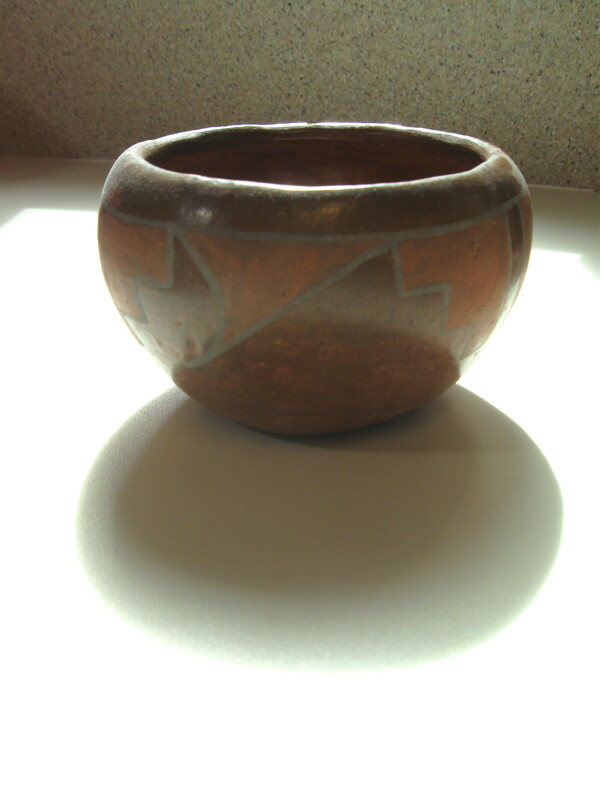 Here is one more, “arty” photo of the Hopi pot, below, taken in natural light, letting its shadow be part of the photo. 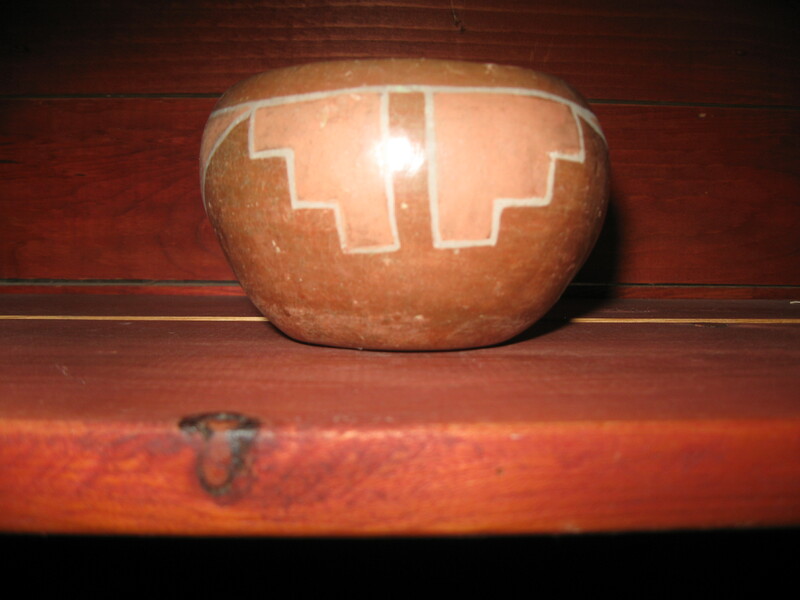 The following pot is either from the Santa Clara pueblo, or the San Juan pueblo. People who know more than I do have differing opinions about that. 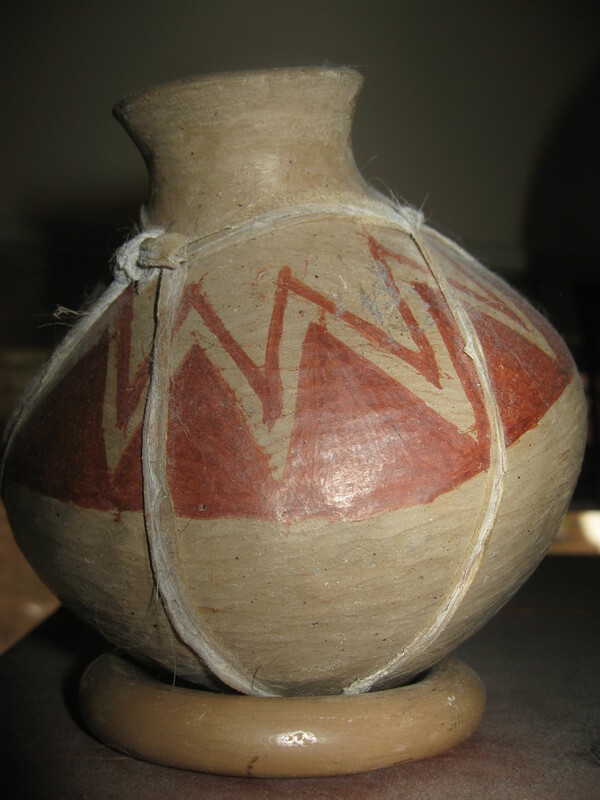 At times, it is difficult to pin down the exact pueblo of origin, because some pueblo’s/potter’s work is very similar. 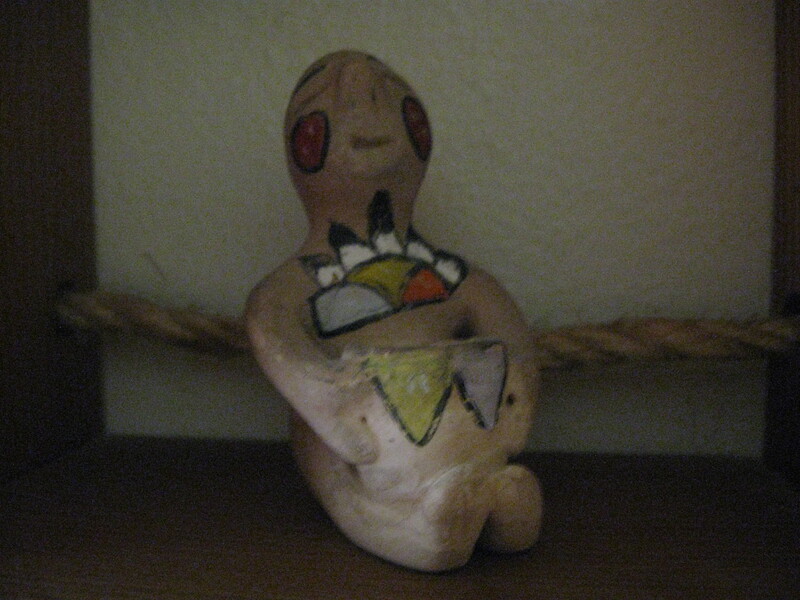 Many pieces are unsigned, as is this one. 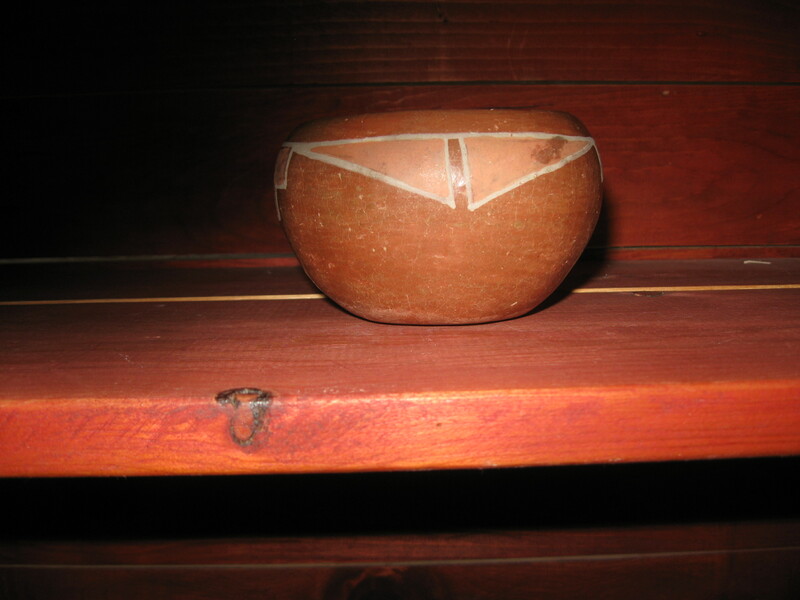 The bowl, dated to the 1940’s or 1950’s, attains its red color by a slip that is put on. 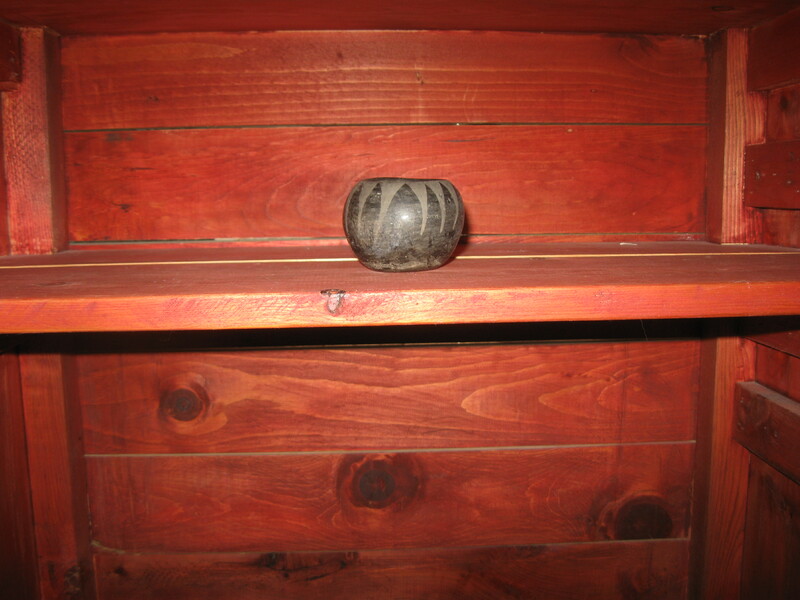 Then, it’s either rag buffed or stone polished. 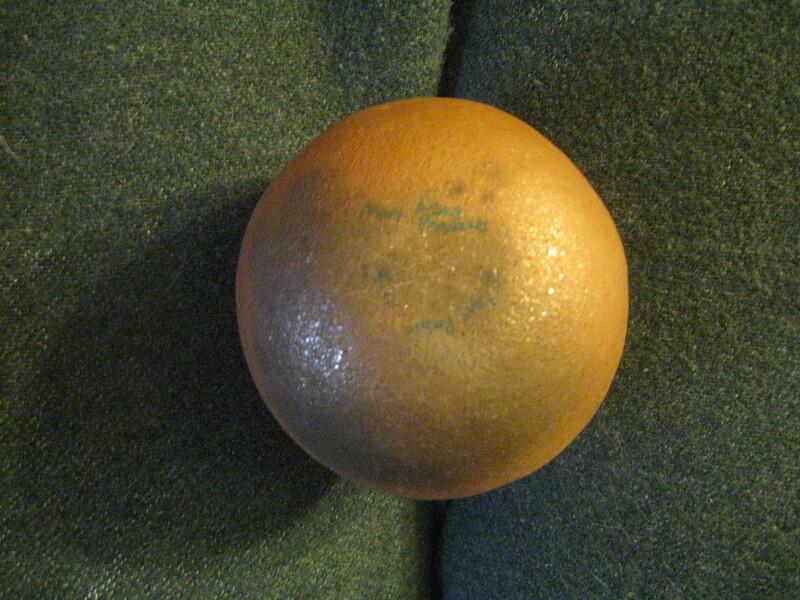 The inside of it shows some damage; however, I had no other examples of this type, so when I found it reasonably priced, approximately 25 years ago, I bought it. I managed to take an artsy photo of this one, too. This photo didn’t work out as well as the other two “artsy” ones. 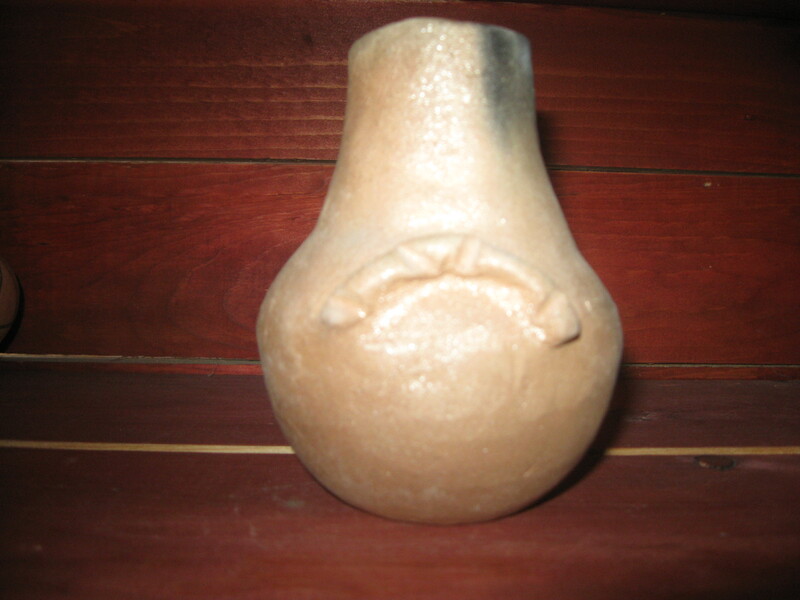 The pot’s details are not as evident. 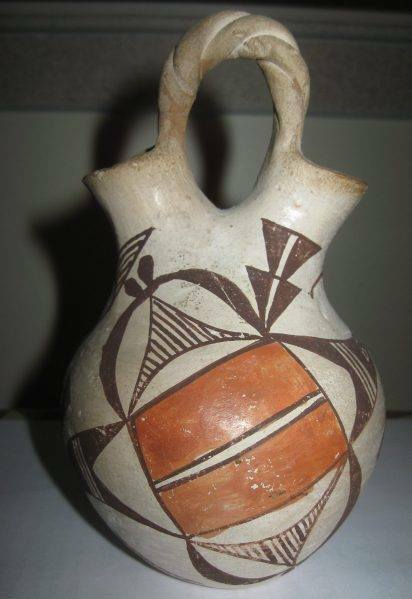 This little Hopi pitcher has a “fire cloud” on its surface. It was apparently placed very close to the fire. 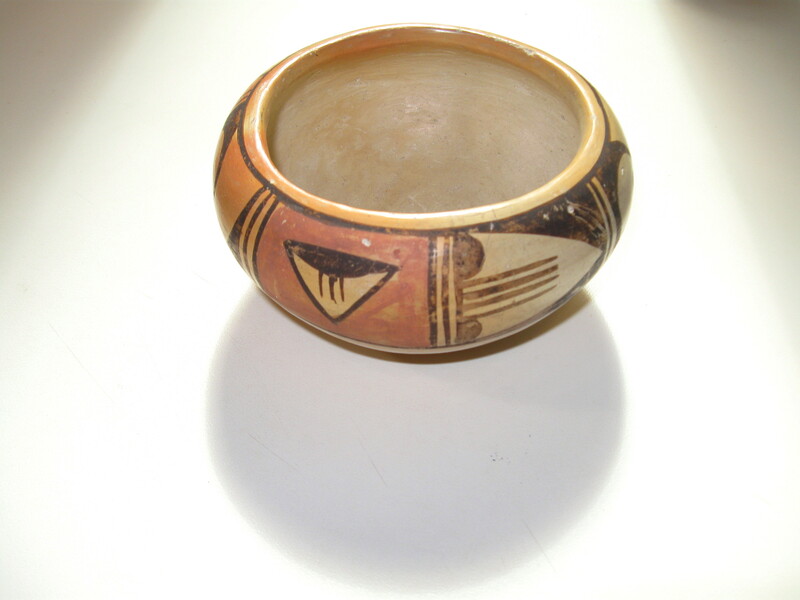 The smudge is considered desirable by some collectors, including me. 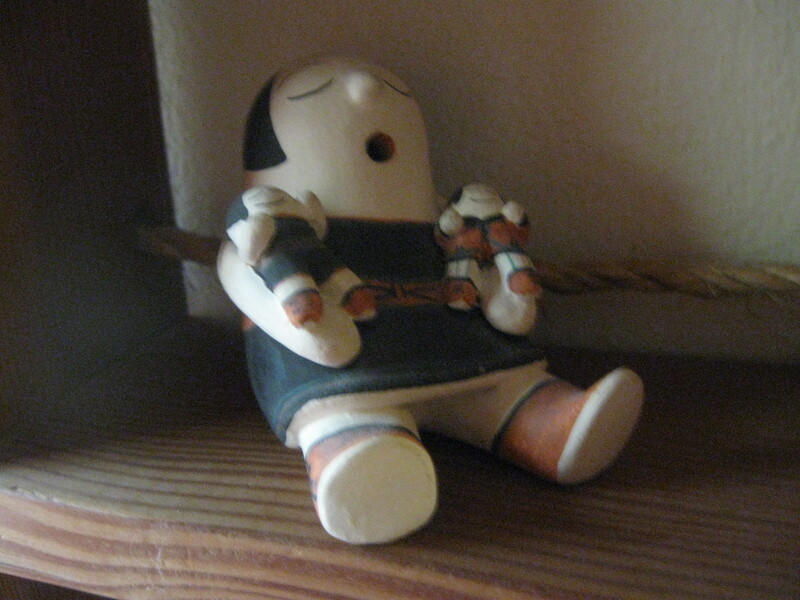 Note that this piece is quite small. 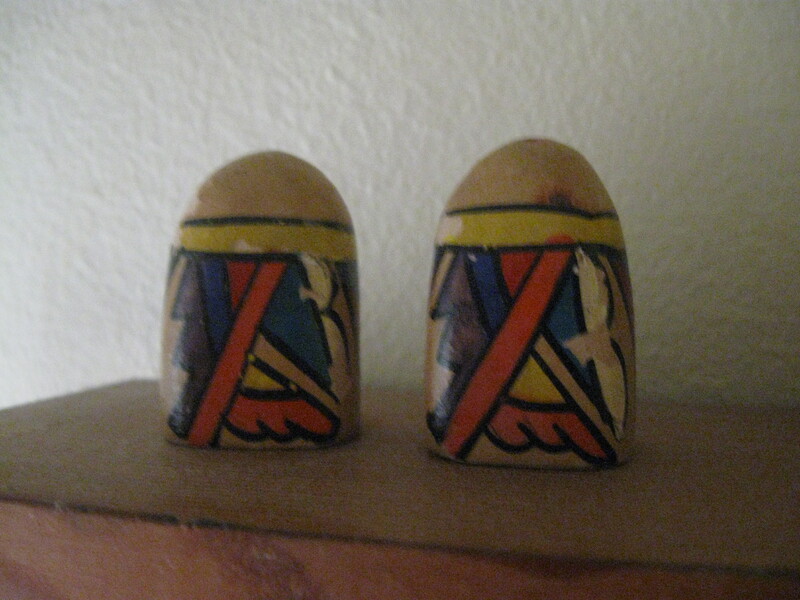 In the early 1900’s, tourists wanted small pieces that would fit into their suitcases. 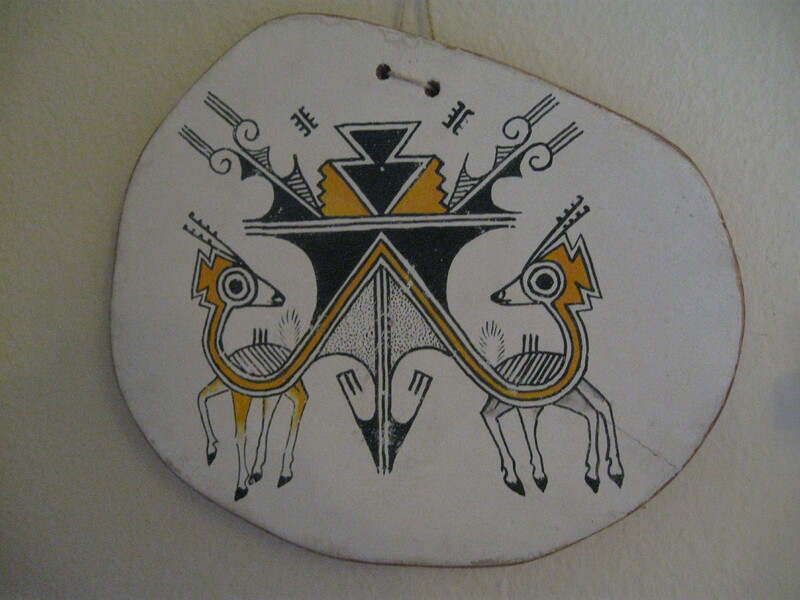 The Fred Harvey Company marketed Native American arts and crafts to folks who made the train trip to the Southwest, all those years ago. This could definitely have been sold by the Harvey Company to a curious tourist. That would mean that this is a good hundred years old. 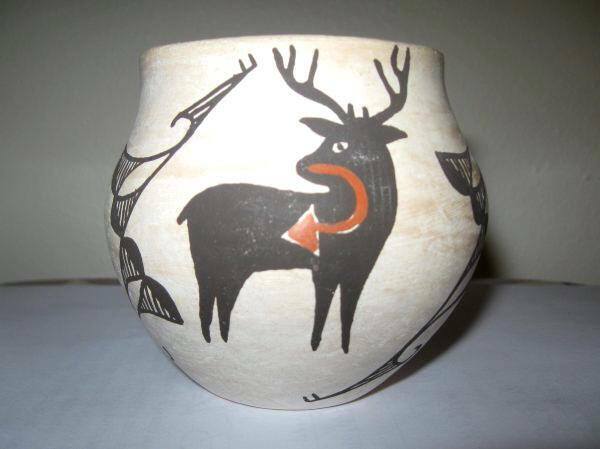 The above deer vase, signed, “Acoma, NM”, is most likely of more recent vintage than the preceding pots. However, I think its design is so beautiful that it deserves inclusion here. I would still date it to pre-1960’s. 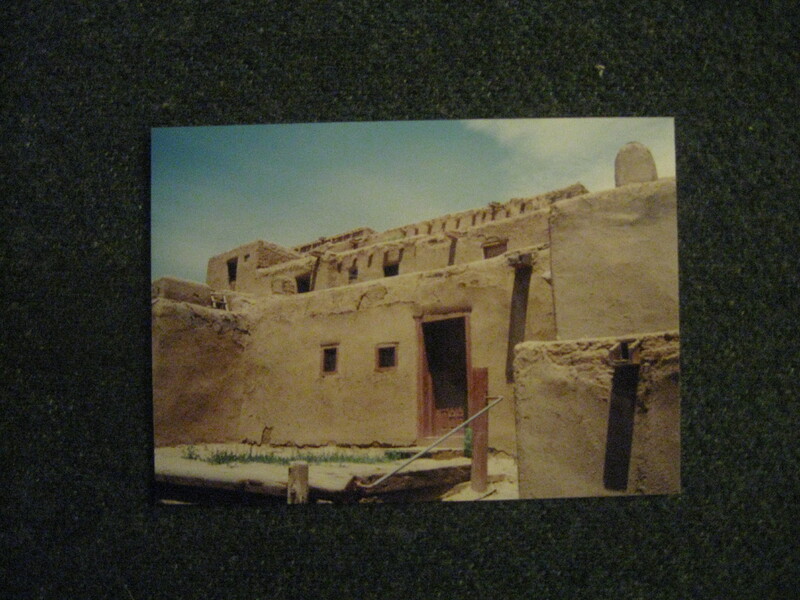 That’s when commercial paints came into use. 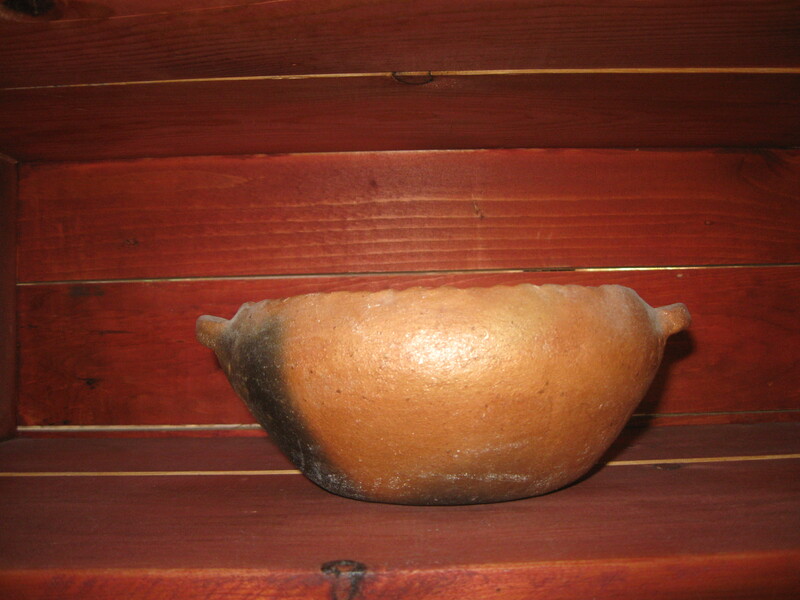 This pot is made from traditional materials. 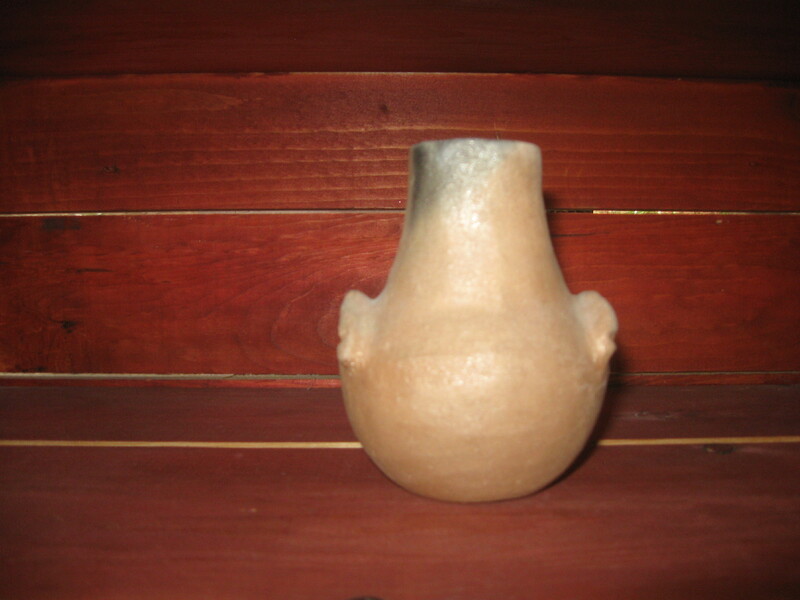 I am showing one side, as it is identical on both sides. 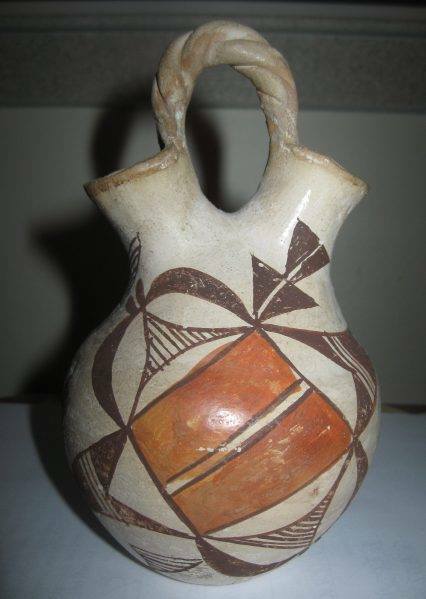 It’s difficult for the average, albeit, dedicated collector to assign an exact date a piece of pueblo pottery was created. 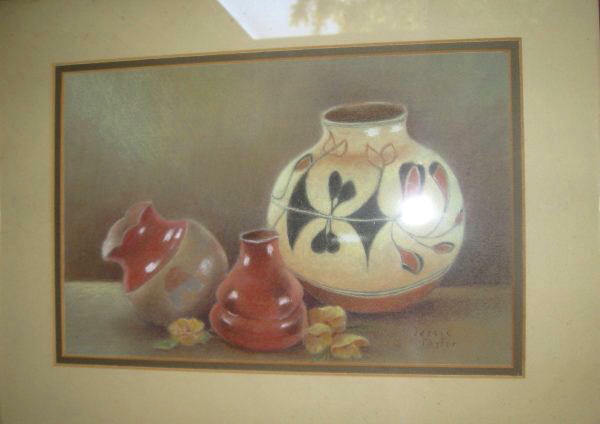 Plus, it can be difficult to determine the origin of a piece, lacking a signature/location on the bottom. 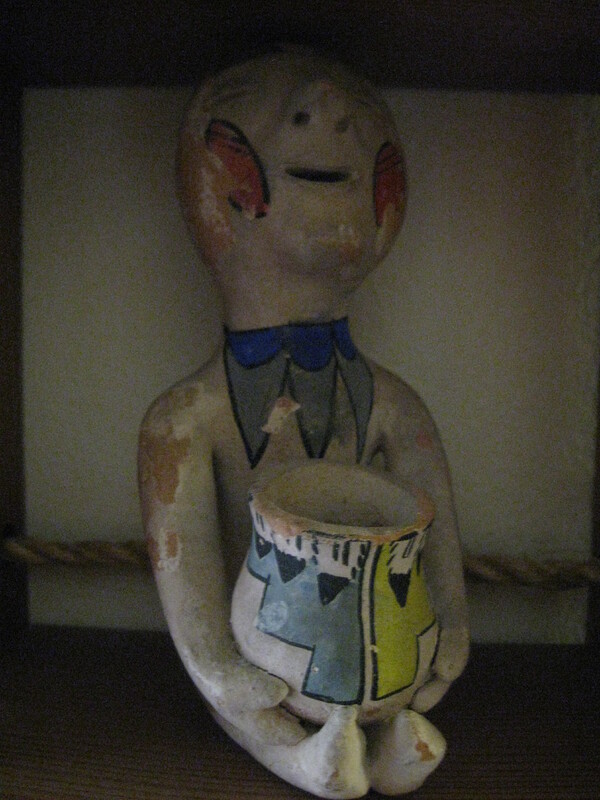 I enjoy my pottery for its beauty and cultural significance. I acknowledge that most or all of these beautiful works were created where no electricity or (indoor) running water was available. 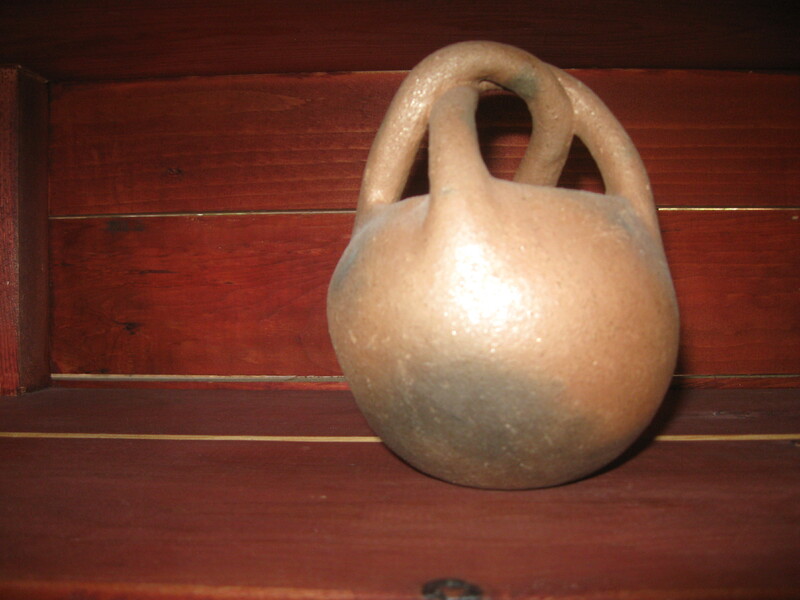 Potters found (and find) the time and means to produce their works, in spite of the fact that their many daily chores take longer to complete. 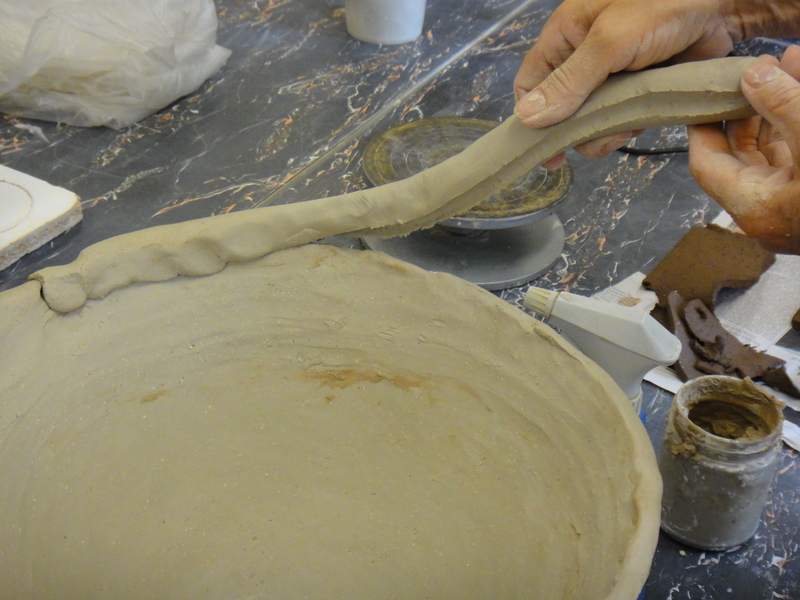 Potters, like other artists, musicians and writers, are driven. Above: the ones that got away. Well, actually, they were pushed away, as in, I sold them. 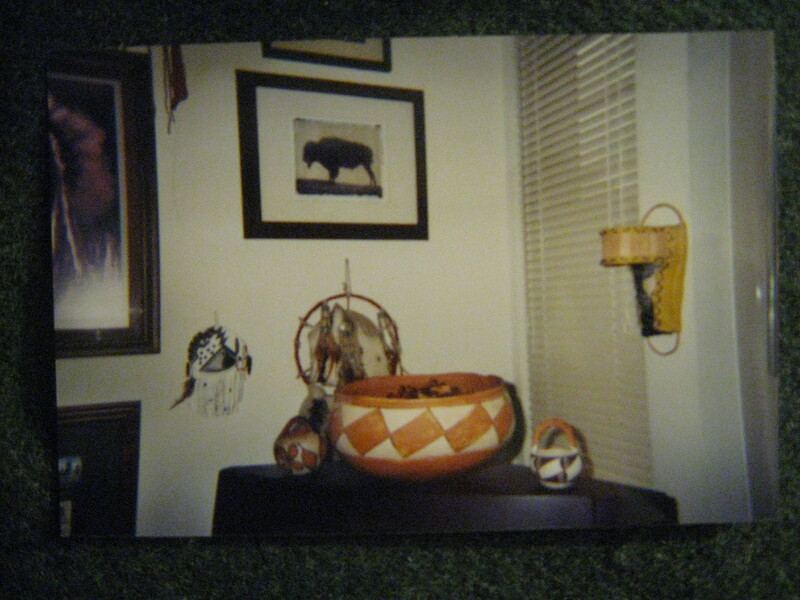 In 2006, I sold the large, beautiful pot, which was probably made at the Zia pueblo. 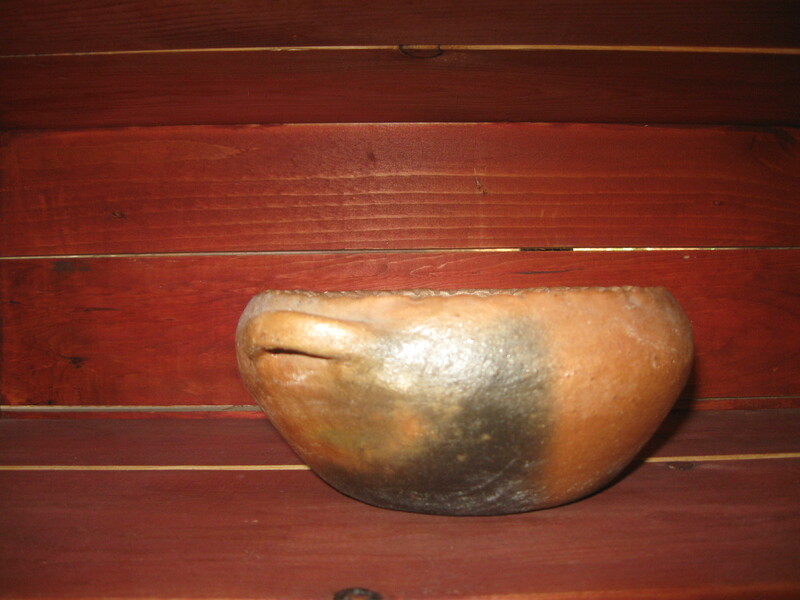 I think it’s a dough bowl. — I still don’t know what I was thinking when I sold it. I guess I hadn’t realized that every pot is a treasure. 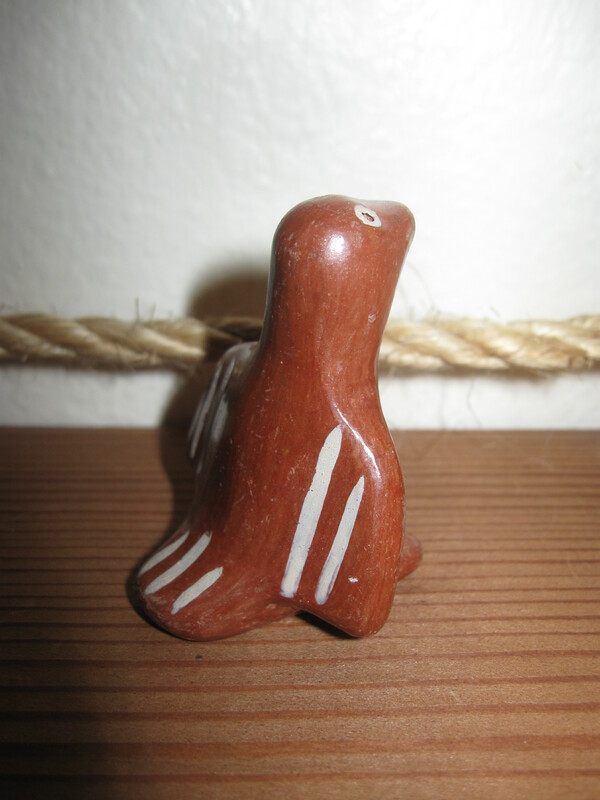 — I also sold the two little ones which bookend it. 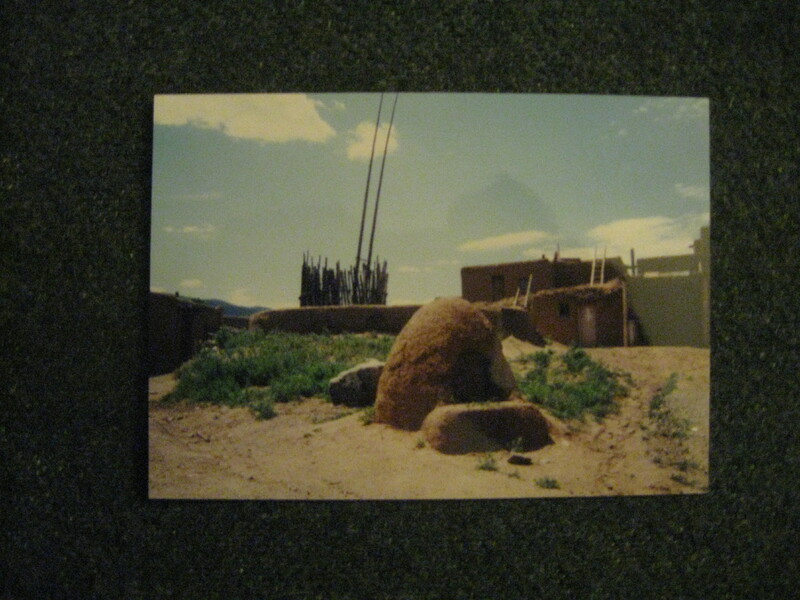 On the left is a Santo Domingo (Kewa) pueblo basket, with some age on it; on the right is an Acoma pueblo basket. I want them back. Please see parts two, three and four….